This is such a brilliant idea! 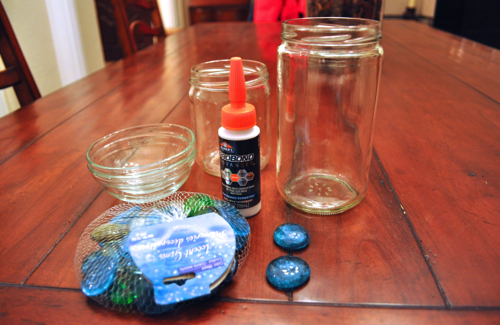 If you save your spaghetti sauce or salsa jars, here is a wonderful way to put them to use! I saw this on Pinterest and had to make some of my own! The bowls and gems can be purchased at Dollar Tree, if you have one in your neighborhood. If not, try to find them at another dollar store. 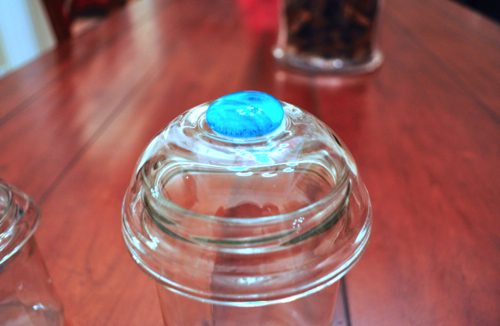 Make sure the bowl and jar are a good match for each other by placing the bowl on top of the jar. 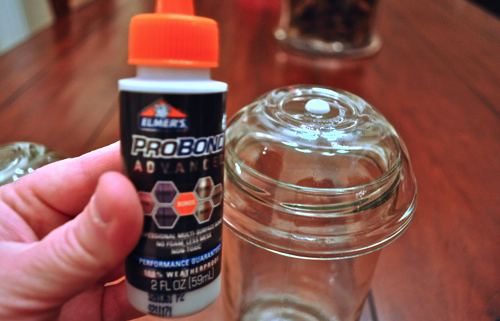 Next, apply a dot of glue on the bottom of the bowl. Finally, press the glass gem onto the glue. Let the glue dry for about 12 hours before handling. 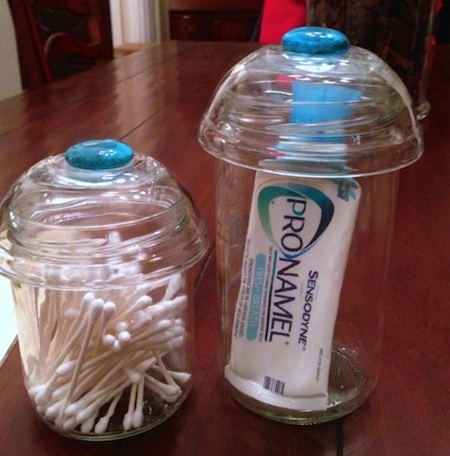 There are so many uses for these jars including housing bathroom toiletries, office supplies, etc. I found the original idea for this at Mrs. Polly Rogers.